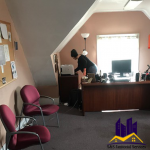 Winter weather requires extra effort in keeping the office clean in the cold months. All thanks to easily tracked in slush and ice melt, as well as windows being streaked with grime. 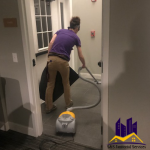 Having a professional cleaning company, with the equipment and knowledge to clean thoroughly on a regular basis, makes it so you don’t have to focus on time consuming cleaning. 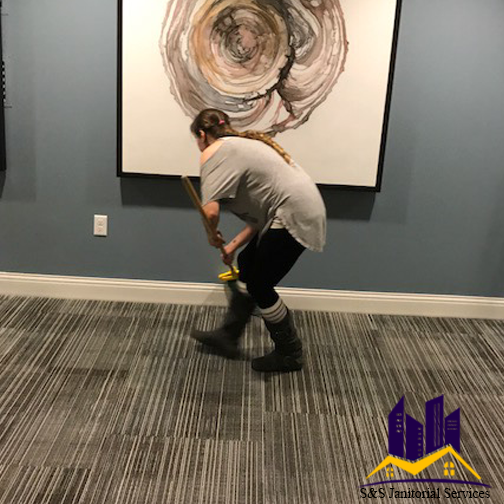 We work around your schedule, and keep all areas of your office clean. 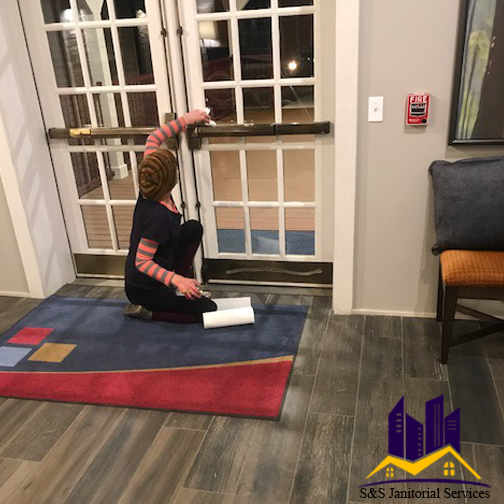 Entryway rugs and mats capture most snow, ice, and slush that gets tracked in, keeping floors from getting wet and preventing falls. 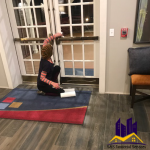 Using the appropriate winter weather rugs can also help to keep excess moisture out of carpeting that can lead to mold. 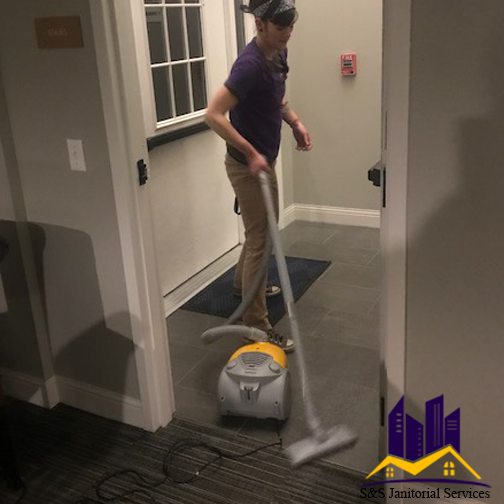 Pollutants in the air can be controlled with regular dusting. 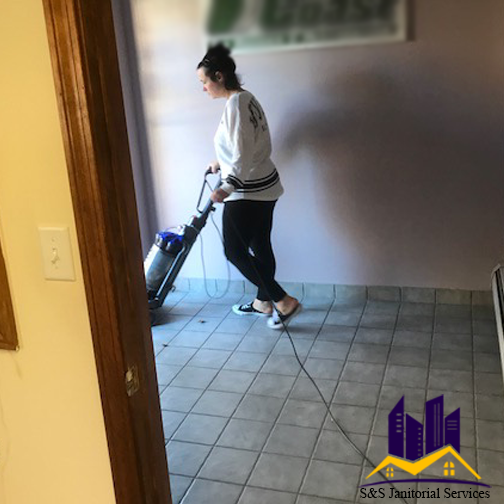 This keeps the office environment healthy of dust particles and impurities which can be vacuumed and removed from circulating in the air. Airborne pathogens can be trapped and recirculated through ventilation systems which compromises indoor air quality and the health of those in the office. Cleaning ducts annually and replacing filters helps to reduce bacteria and germs spreading. Winter weather brings concerns of contagious colds and flu. 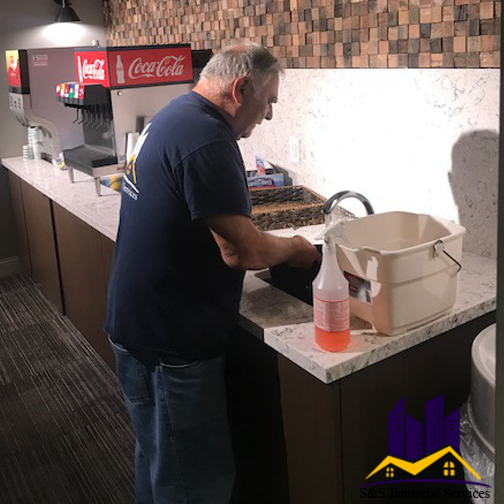 Non-toxic cleaning products and disinfectants can be used to wipe down tables, chairs, door handles, shared spaces, and workstations. Wiping down these areas daily helps to keep away bacteria. With healthy habits such as regular hand-washing, keeping the workstation clean helps keep employees healthy. 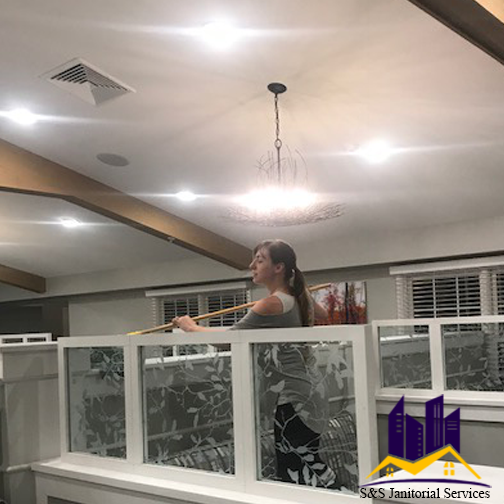 Windows are easy to overlook, but spotless windows can make a great first impression to any visitors to your business. 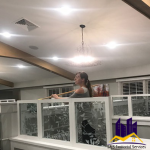 Regularly removing grime that accumulates helps aid sunlight in getting through the windows, too. Sunlight helps keep the air inside dry and clean. 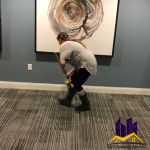 It absorbs excess moisture that could be in the carpet or on the floors. Natural light can help raise employee moods during the cold, winter weather! 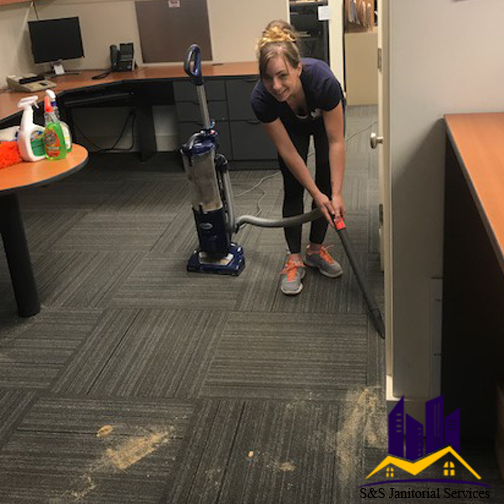 Keeping your office clean and sanitized helps with employee productivity, and health. S&S Janitorial Services has the knowledge and ability to protect your employees!